Second of all, Wendy Hilliard is a USA Gymnastics Hall of Fame Member. She was the first African-American to represent the US in rhythmic gymnastics and hold the esteemed title of “Master of Sport” because she personally coached an Olympian in 1996. 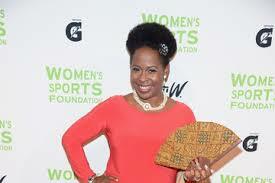 She was the first African -American President of the Women’s Sports Foundation. The year 2016 marks the 20th anniversary of her own foundation, which has brought the benefits of healthy athletic competition and participation – in gymnastics as well as other non-traditional sports – to thousands of kids who might otherwise never have had the opportunity.